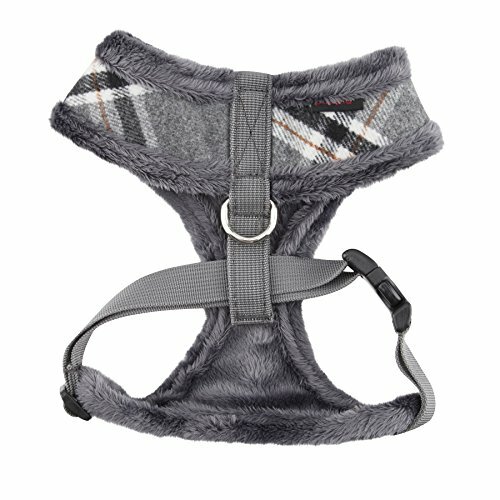 The Kemp Harness A (over-the-head)features a checkered pattern and solid schemed. 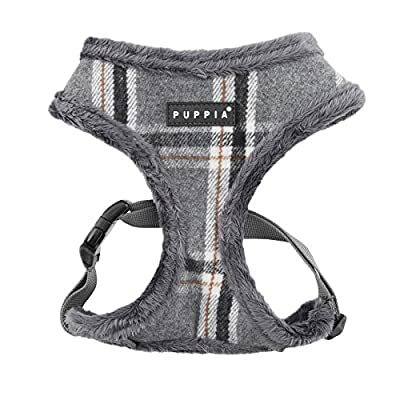 It is a warm and fuzzy winter harness featuring an adjustable chest belt and Puppia rubber label on the chest. 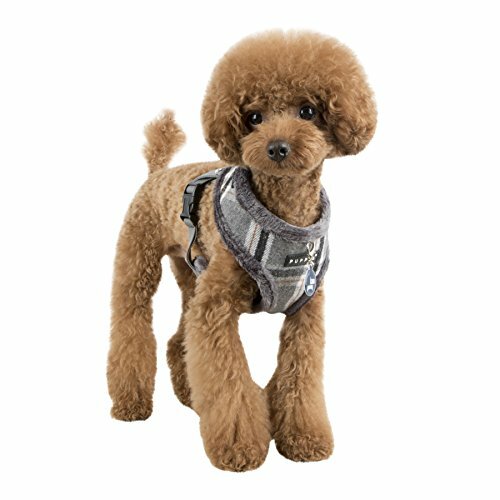 Matching leashes are available and sold separately. Available in Beige, , and Navy in sizes ranging from Small to Extra Large. Please note that because these products were created with small breeds in mind, larger sizes (i.e. Large, Extra-Large, etc.) do not necessarily mean larger breeds. Please refer to image of the size chart. It is very important to measure your dog with a tape measure according to the size chart. As a general rule of thumb, if your dog falls in between sizes, it is usually better to go up a size. Weight figures are for estimates only. Always use actual measurements. 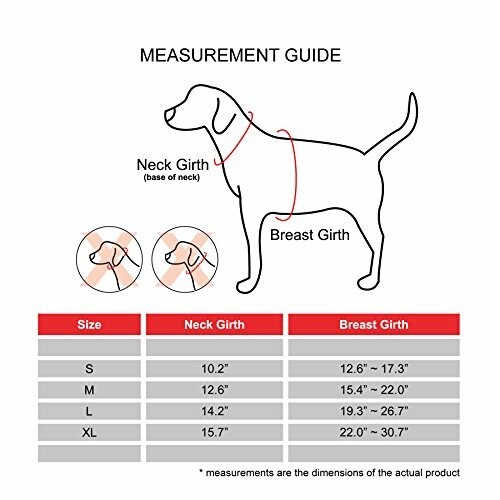 Please note that when measuring your dog for clothing, it's very important to have an accurate measurement of your dog's neck and chest girth. IMPORTANT: Please note that when measuring your dog, the measurement for the neck must be taken at the BASE OF THE NECK and chest girth must be taken behind the front legs. Also it is important to take into account the size of the dog's head as well as neck girth and chest girth. Since some dogs have a much larger head than their neck, please be sure that the neck opening is large enough to slide over your dog's head.